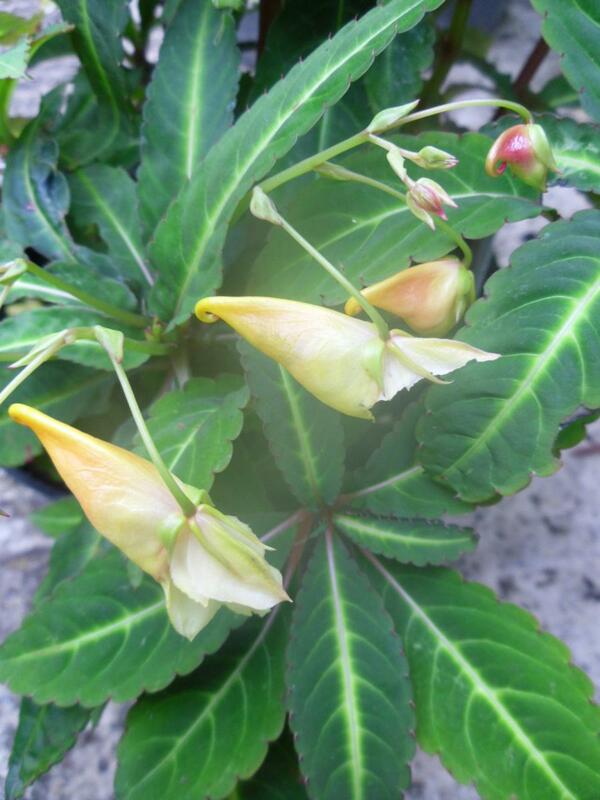 True this Impatiens omeiana (omeiensis) looks exotic, perhaps more at home in a tropical rainforest than in a temperate garden in the UK. In fact this remarkable Bizzie Lizzie’s home turf is Sichuan Province in China where it experiences temperature well below zero. 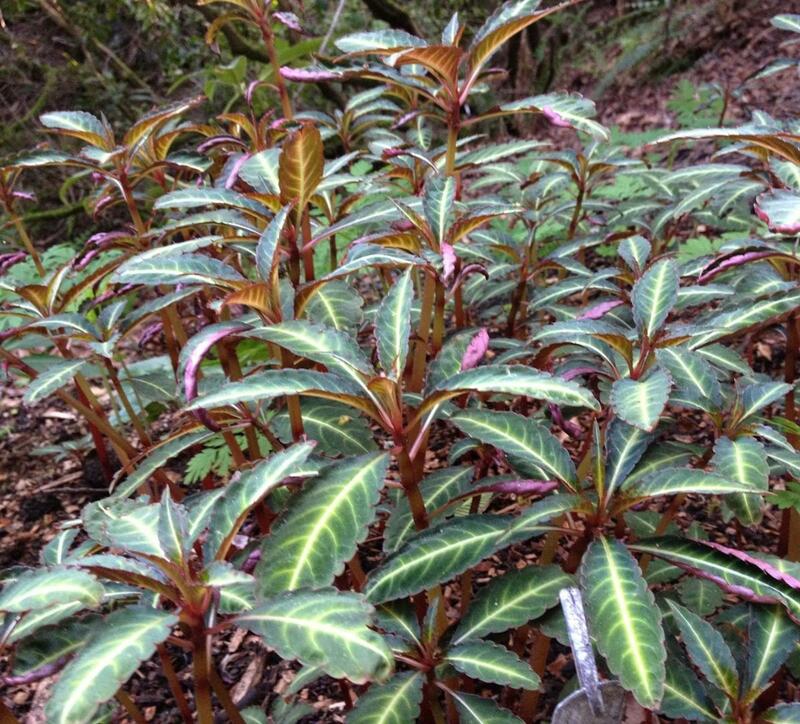 It was rediscovered in 1983 on Mount Omei, hence its species name, and was subsequently introduced into cultivation. 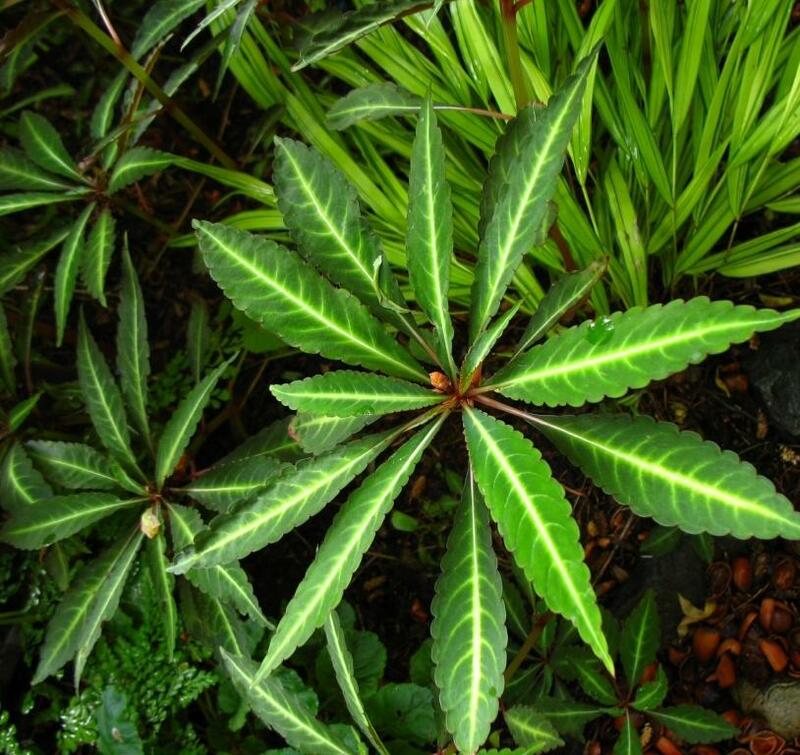 It has many qualities that make it worthy of inclusion in the garden; the appearance of an exotic but the demands of a temperate being one of them. All it asks for is to be in reliably moist soil and part or dappled shade to thrive, although in our garden it succeeds in conditions closer to "deep” on the shade spectrum. Once you have found the ideal home it requires minimal maintenance. The name Impatiens is derived, unsurprisingly, from the Latin word for impatient, referring to the hair trigger seed pods which have the ability to launch their seeds far and wide, explaining the common name of "Touch Me Not”. This method ensures that any offspring do not complete with the parents for nutrients, water or light. This dispersal method is called the evocative "explosive dehiscence”. It is principally grown for the beautiful naturally variegated foliage once emerged fresh from their hibernation. They spread gently by rhizomes, the speed of which gives a good indication of their contentment. 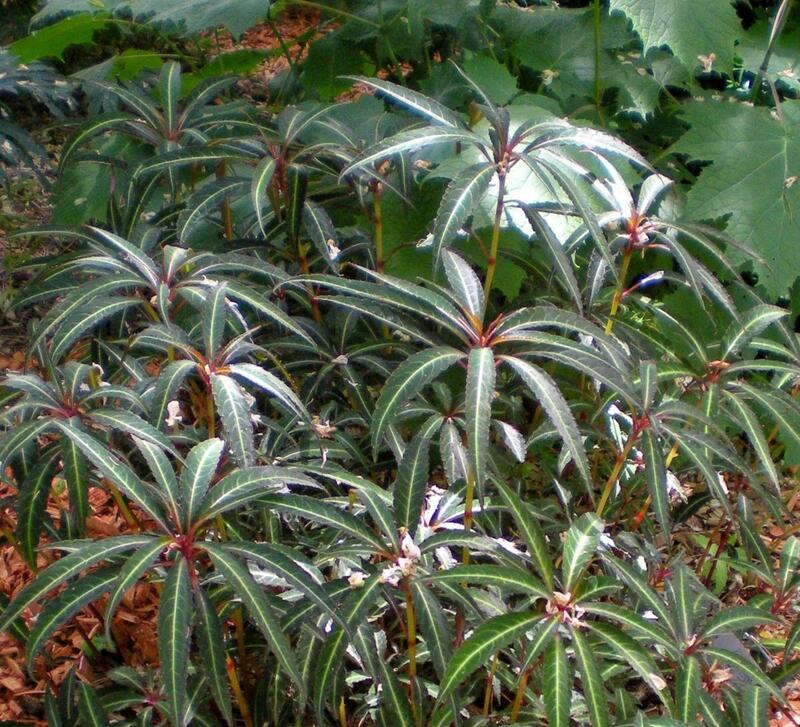 The lanceolate leaves, standing up to 20 inches in height, are delicately variegated with a strong white mid rib, arranged in hand-like whorls. Flowers begin to emerge in late August and September and although attractive are not prominent, held at leaf level or thereabouts. They are a peachy yellow colour in clusters of up to 8 blooms and are both pouched and spurred like many other examples of this genus. Plant supplied in a 9cm pot.